Some men you just can't reach. They are getting worse. and it will serve well for that previous post. About the kabbal's murderous attacks, I present this excellent video for some of you to ignore. About the Pacific sea life, or rather the lack of, I present this rant video for you to ignore. The tide pools are "the nursery of the ocean". Just more proof your so full of it and willing to believe anything "another" nut on the internet has to say about the world coming to and end. You didn't seem to address the fact the Gulf of Mexico is not dead at all and full of life as proof in those videos, whoops mother nature most have pulled a fast one on you!!! What about the video showing life after death in the Pacific Ocean and Salmon that haven't died after all, not to mention the killing of them by people and what we are doing to our freshwaters supply. All you can provide is a fuzzy Muslim recruiting film for your terrorist site and the same old nut out west that has been feeding you garbage that your eating up, bon appetite you crazy sick internet terrorist. Posted July, 2018 for the Loma tide pools, just one of numerous time pool listings found on the internet and tide times for viewing, so much for the dead sea urchins disappearing. Vale, you have extremely low standards for proof. Since you so much care about what I think, know that I usually do not respond to your false allegations. I've never posted that the Gulf of Mexico is dead. Vale, your mindset depends on lying so much that you actually start to believe your delusions. except for the fact that they allege that one must look closely for evidence of life in the tide pools. Such a shame that your league has killed the Pacific ocean and you continue to attempt to deny it. It's your life, but only for a little while longer. But do not worry, your League's program of death is spreading into the Gulf. 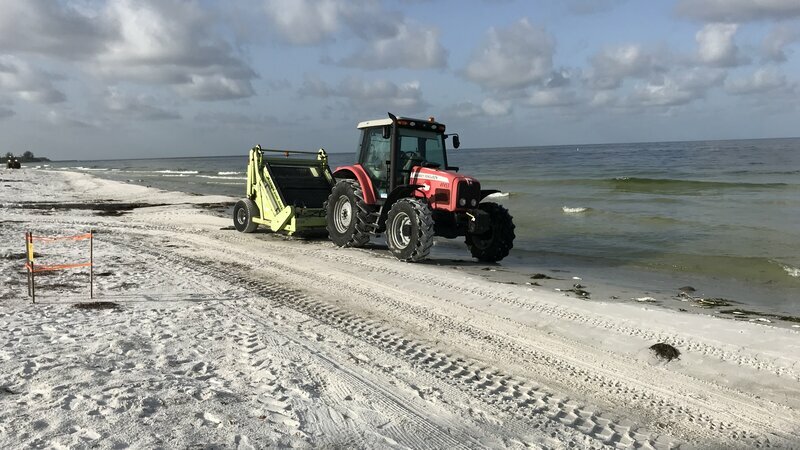 Stupid people don't wonder.... "What caused the red tide?" they just accept it is being taken care of. I think it is going to be so bad that any North American land south of 40° N and east of 100° W is going to be agriculturally destroyed for decades. South of 35° N will eventually have to be evacuated. Poor Caribbean people, where can they go? [video=youtube;8ahDTEU5UPA] I expect my southern relatives to visit permanently sooner or later. 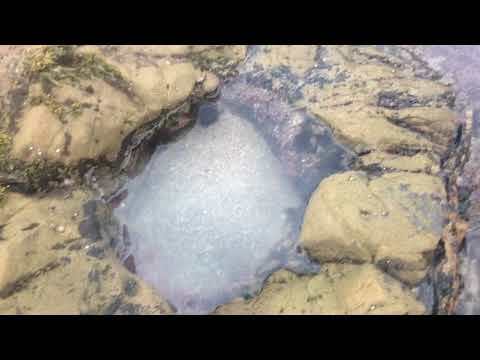 Hummm, good response to a Google search of the California Tide Pool problems, it only showed one from 2011 where one type of sea life had a die off and they were not sure of the cause and then nothing but page after page of tide pool watching times and locations. It must be that Google is in on the Jewish coverup, that can be the only loony tune explanation. Oh wait, how can that be, they told me about the toxic dead zone along parts of the Gulf coastline. Damn they must be slipping in which stories to be keeping secret from the public. Letting people know the truth about the toxic blooms along the Gulf coast and in many lakes and yet hiding the secret about the dead California tide pools which thousands visit daily and the entire Pacific ocean which is dead and such a monster story!!! Last edited by valerb; 11th November 2018 at 04:07. Bone you are on fire, your predictions are failing right and left. 1. You only have around 37 day's for Silver to reach your wild prediction of $26+ by this fall. It seems to be running a tad behind and it even ducked it's head under $14 again today. 2. You should never tell people that Silver is never going to do something, it will always make a fool out of you over and over. As in telling people to buy because the GSR had fallen below the 85 to 1 level and we would never see 85 again. Well it was at 85.66 earlier today. 3. Telling people all these horror stories about the Gulf of Mexico being dead and how it was going to not only kill off everything within it's waters but a major part of the UNITED STATES below the 40° and cause everyone below the 35° to evacuate. That's from northern Georgia on down and yet no one is leaving the States because the crops are all dying or the people. 4. Neither is the Pacific ocean dead as there are still large numbers of fish that can be caught and no evidence of the dead pools other than your one person versus tons of ads indicating the opposite. The Federal Reserve Note appears stronger than ever. Your league has a lot to do with it. Grow up. Minted silver does nothing but sit there and look pretty. I've never stated otherwise. Vale, you certainly know a lot about being a fool. The Pacific isn't dead and will never be totally dead. I'm sure some algae type slime will survive for a long time. So it's certainly not dead yet. However based on your selection of the word still, you just might actually have figured out that i is dying as I've been telling you for years. If so, then somehow you want to be part of the coverup, and have fun fool. 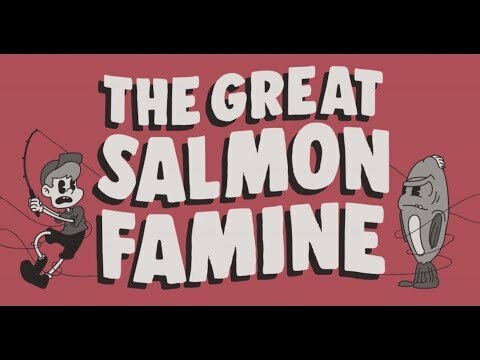 I Challenge Cyn G to The GREAT Salmon Famine DEBATE!!! What TITANIC FUN!